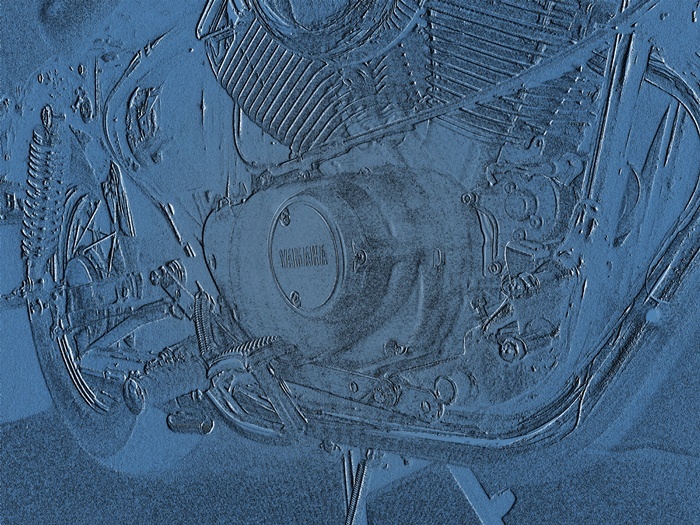 · Polishing the engine side covers – Virago 250. · Gas tank specifications and information – Virago 250. · Reserve – How far can I go? – Virago 250. · Carrying space – Virago 250 with Rifle Sport fairing – create low cost 2,100 cubic inch space by moving headlight forward and speedo back behind the bars. · Carb heaters – Virago 250 – I disconnected mine to try it – bad idea to disconnect if your location is ever below 70 degrees F.
· Fuel Pump – covering Virago 250 fuel pump with a 4.5 to 6 inch chrome air cleaner cover is an easy way make a big change in the looks. · Chain – Virago 250 – I had bad luck with regular chain, so I bought my first O-Ring chain (better late than never). · Fuel Pump – covering Virago 250 fuel pump with a chrome air cleaner cover is an easy way make yours look different from the rest. · Head Covers, chrome – If you have removed yours, and are not putting them back on, they look great as fuel pump covers, and you can put them on both sides of the bike. • http://wp.me/p1LWaM-g2 • http://wp.me/p1LWaM-g2 December 25, 2011 Happy Holidays ! • http://wp.me/P1LWaM-65 The 2012 V-Star 250 has low handlebars! 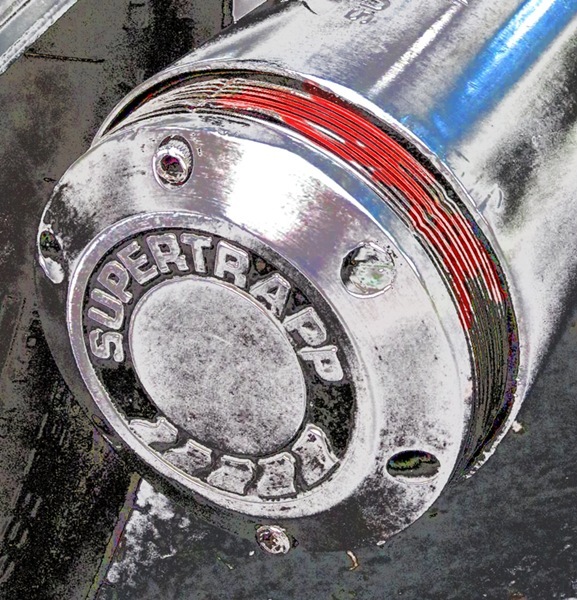 · Supertrapp muffler – For Virago 250, how many discs? · Supertrapp muffler – Added a 12 inch baffle plus changed Supertrapp muffler from side-firing to rear-firing to reduce sound heard by rider. · CB-160 compared to Virago 250 – I compare the bike I drove when I was 16 to the bike I drive now. · Oil for Virago 250 – This is the mix that I use. · Mirrors for Virago 250 – My favorite is the old Yamaha mirrors. 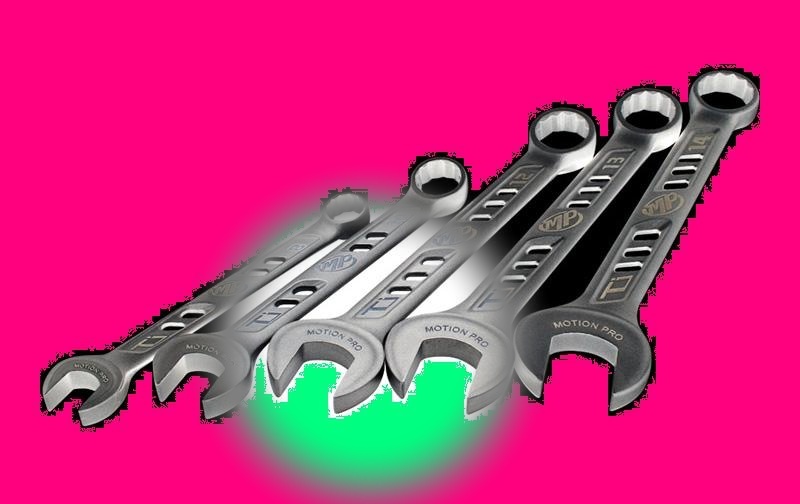 · LED turn signals for Virago 250 – I looked at every LED turn signal on ebay – and these are the six that I liked. • http://wp.me/p1LWaM-13 Fix the Virago 250 gearing ! Changing sprockets (gearing) on Yamaha Virago 250 to 17/38, 17/40, 17/42, etc. · Weight reduction … is important for small bikes like the Virago 250. Hi, this weekend is nice in support of me, because this time i am reading this wonderful educational article here at my residence.